Thanks. 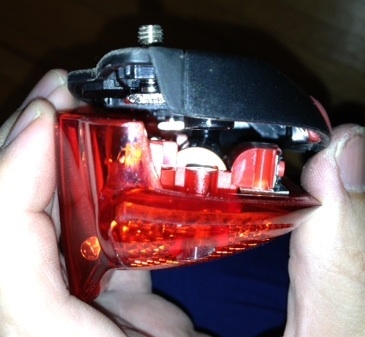 This was helpful in replacing the batteries on my wife’s Batavus’ backlight (Berlin). Thanks, helped a lot. Replaced the batteries without damaging anything. Thanks a lot! Realy a helpful item. When removing the reflector as you did I’ve pushed the screws on the back inside end used carefully a little flat screwdriver between the tumbnail and the black backside. Lifesaving picture! Thanks from Amsterdam! Let’s just say I wrote this to help psychically pay off my debt to Fietsersbond. I managed to join them from the UK around 20 years ago, but they could only accept payment from a NL bank, and my UK bank couldn’t provide the right details to make the payment go through.